Womens set of 6 Pk Earrings. 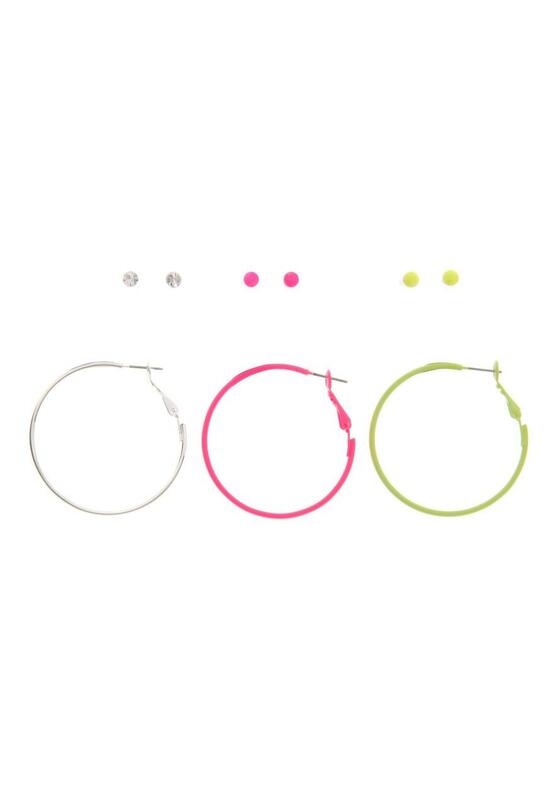 From studs to hoops, there is something for everyone in this set. Perfect for brightening up any outfit, these can help take any women from daytime through to night. With neon leading the way this season, why not and add a bit of neon to you wardrobe.